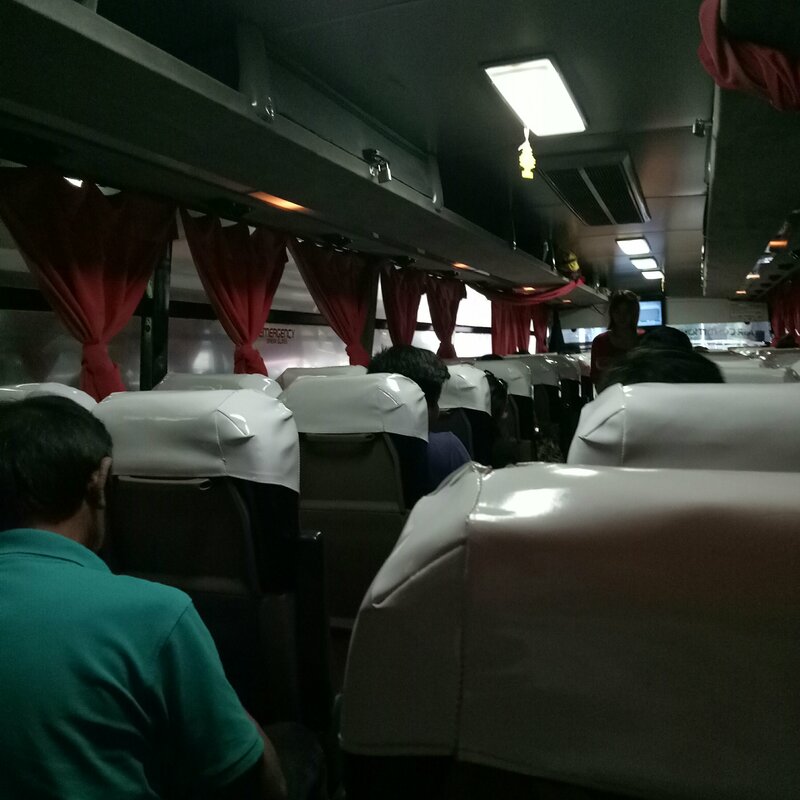 For one, it’s been a while since I rode a bus to Manila. I didn’t miss the bus per se. I just missed sleeping in the bus (using my not-so swabe moves). Initially, Tiff and I shared stories about what’s been happening in our lives, but after a while, I fell asleep. The “sleep” involved a lot of head banging and me eventually relenting and laying my head on Tiff’s shoulder. Bus ride @ 10:20 AM. We were supposed to leave at 9:00 AM. 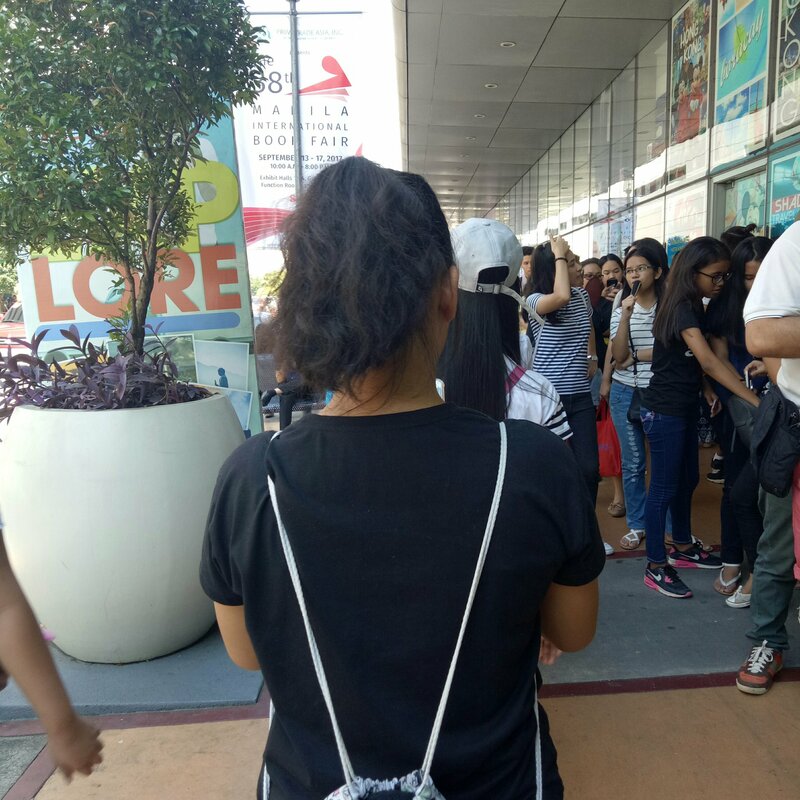 When we arrived in SM MOA, it was a little after lunch already. Our main goal was to eat first (though Tiff insisted that “food is life but books are life-er”). 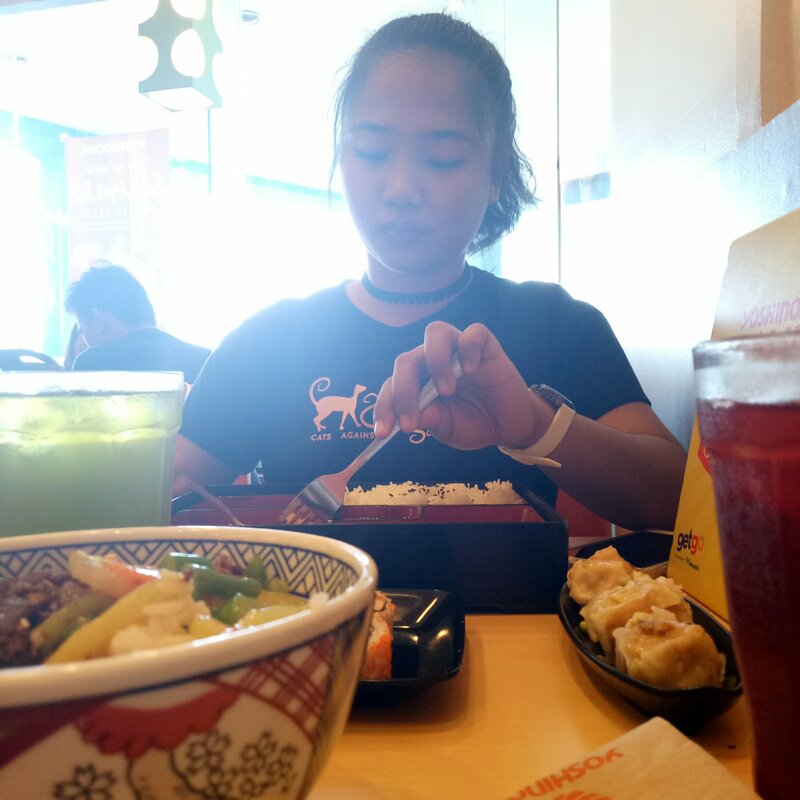 We went around for quite a while before choosing to eat at Yoshinoya. Our initial plan was to go through everything per row. 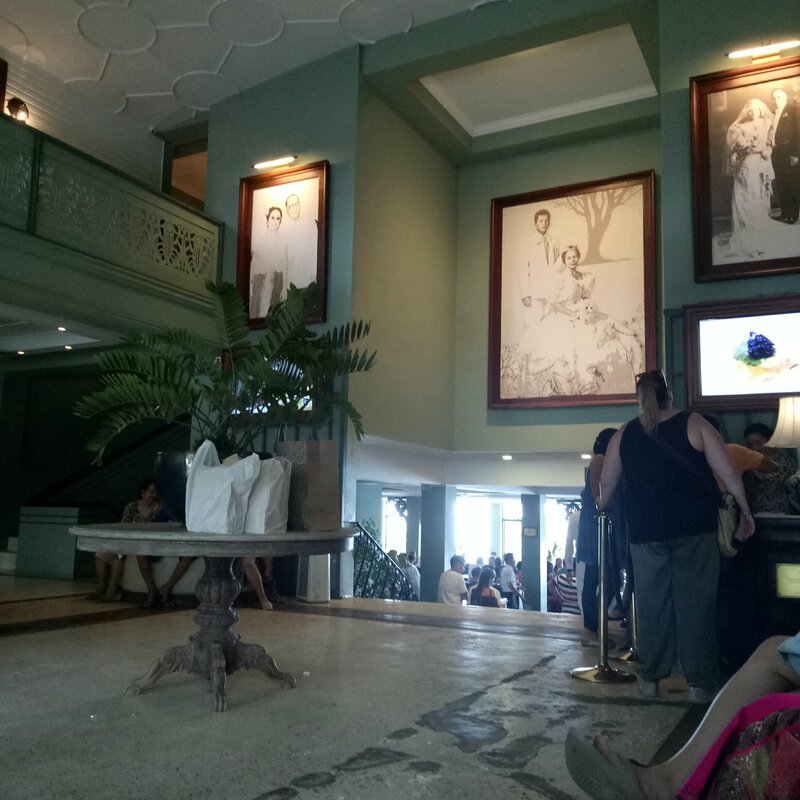 But when Fully Booked caught our attention, we just headed inside, disregarding said plan. …where kindness can be a weapon, and children have the power to see what adults cannot. The second stop was at National Bookstore (1st floor). The space was less crowded so my introvert self held up pretty well. It was there that I found the feel I’ve been looking for in children’s books. There, I bought Sharon Creech’s Walk to Moons. Upstairs, it felt more fandom-y and for kids (which made it awesome!!!). There was another National Bookstore there so we visited it just in case there were new books. Thankfully, the kind of books I couldn’t find downstairs were there. I found The Earth-Healers by Cyan Abad-Jugo and I just couldn’t not buy it because 1) it’s good Pinoy work and 2) Cyan Abad-Jugo! I read one of her books from my MIBF haul last year. They looked at each other, unable to talk, for the spell of understanding had already faded. Still, what need were words among friends? Afterwards, we wandered to the Make-a-Wish booth. 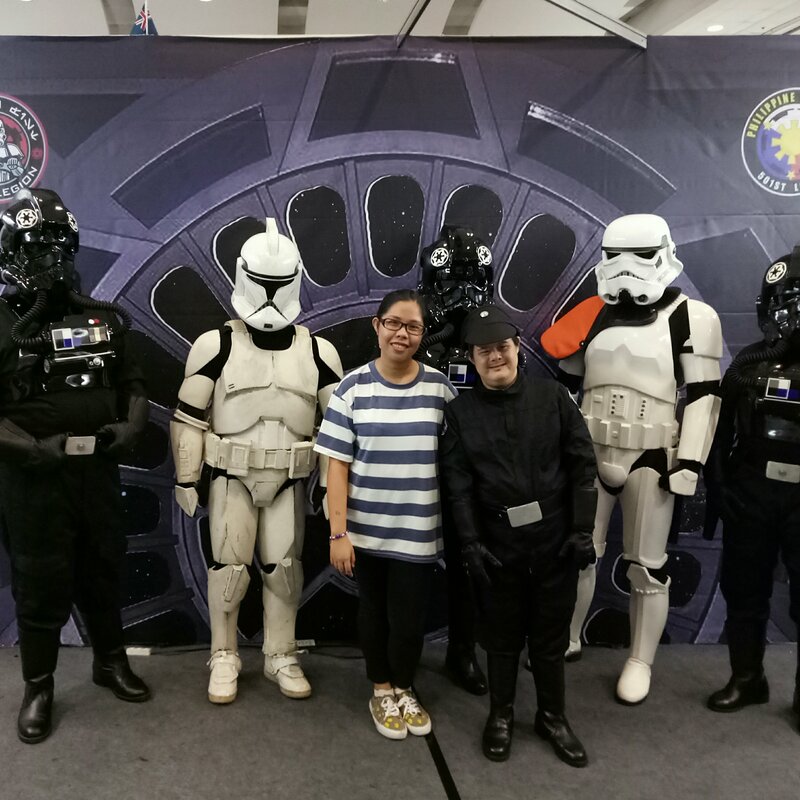 There we donated for a cause and took a picture with Storm Troopers. Though I’m not really a big Star Wars fan (I did play the computer game though), I liked the experience because, not only did I help, but also, I was reminded of my childhood. Yes, I look like a potato. 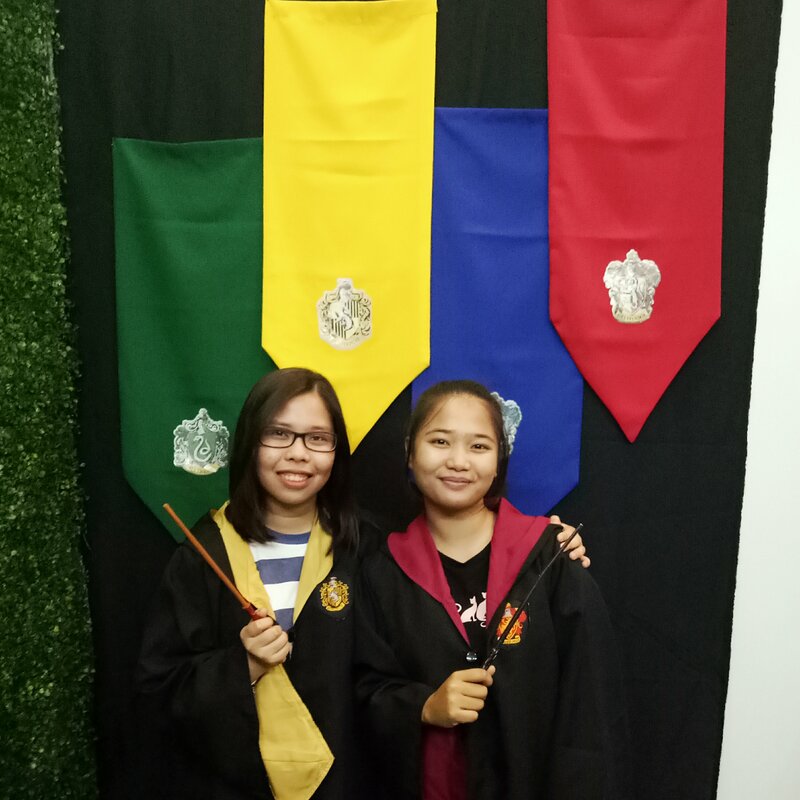 Wearing a Hufflepuff cloak, I realized that maybe I am a Gryffindor. It was already around 6 PM when we got out of there. By then, we just had a quick go-over of the rest of the booths upstairs. Adarna publishing quickly caught my eye because I’ve been trying to look for it downstairs earlier that day. From there, I bought Raissa Rivera Falgui’s Woman in Frame. By the time I’ve finished paying, I started to feel the need to end the day. It was six something and we’ve visited almost all there was to visit. By then, I’ve only spent PHP 768 for four books (which was not a bad bargain at all). I only needed to check one last booth for the pasalubong I wanted to buy. I went down to UP Press to check out a certain book. However, when I got there, I found poetry books that I wasn’t able to find the first time I scouted the area. I saw about five poetry books that I liked but the problem was, I didn’t have enough money anymore. (The struggle was so intense!) I also found a ton of books that I wanted to gift to people (but then again, I couldn’t afford to give a book to all of them). Book haul! Not a bad bunch at all. After that, it was time to travel back home. Tiff had work so I went to Lipa on my own (and almost got lost INSIDE THE BUS TERMINAL). I over-exhausted my introvert body and soul so I almost couldn’t feel it on the bus ride home. As expected, I was knocked out to oblivion when I fell asleep. Overall, I felt more in control with my choices this year. I knew what I wanted and where I wanted to go. I didn’t binge-buy for the sake of remembering that I went to a certain booth (unlike last year). I also knew how to survive expos this time so I knew what to expect. I just wish there were more indie publishers this year. I really looked forward to their books. I wanted to meet them again too. 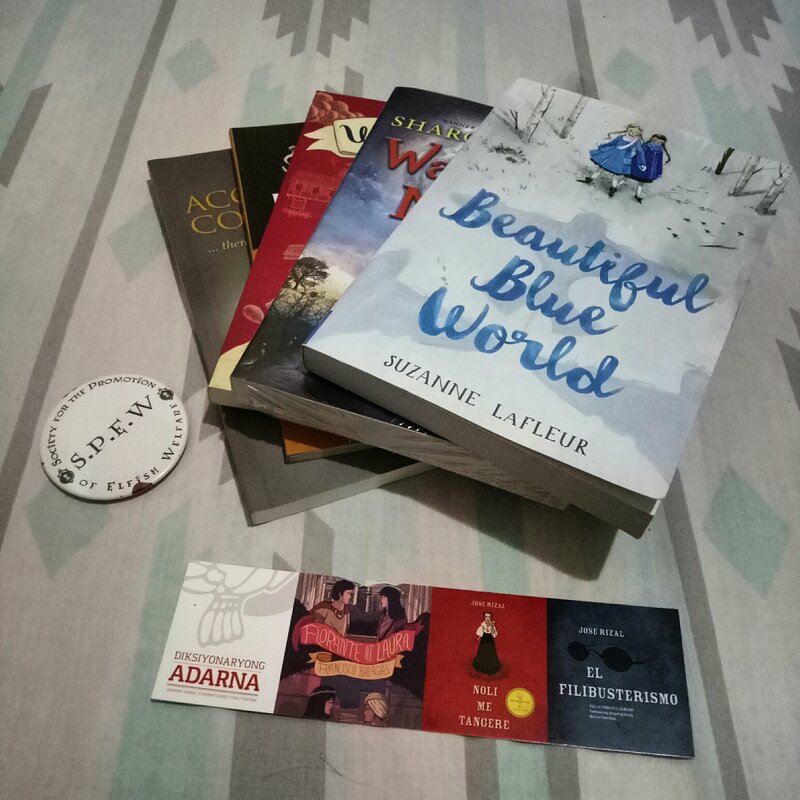 You can read about my first MIBF experience here. 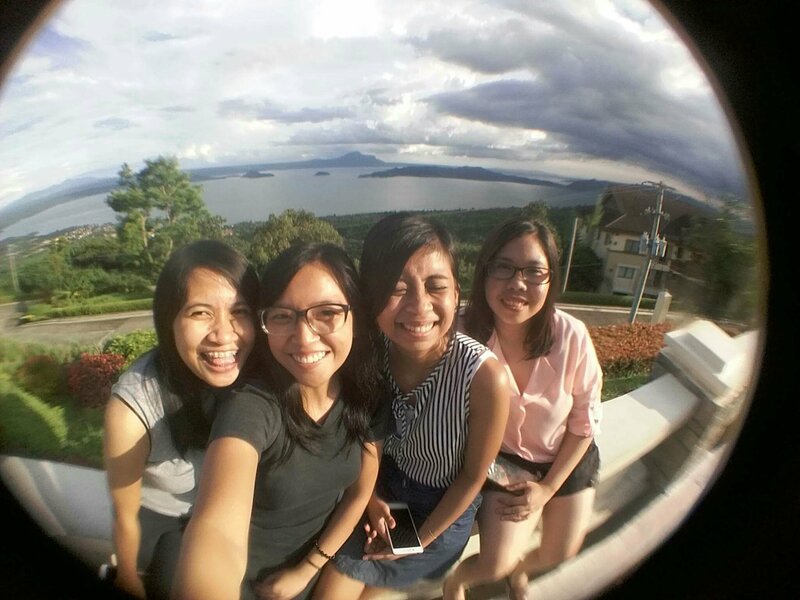 Last Sunday, me and my girls had a quick get-together at Tagaytay. Though we all had our fair share of worries for the upcoming week, it just felt great to see each other again. 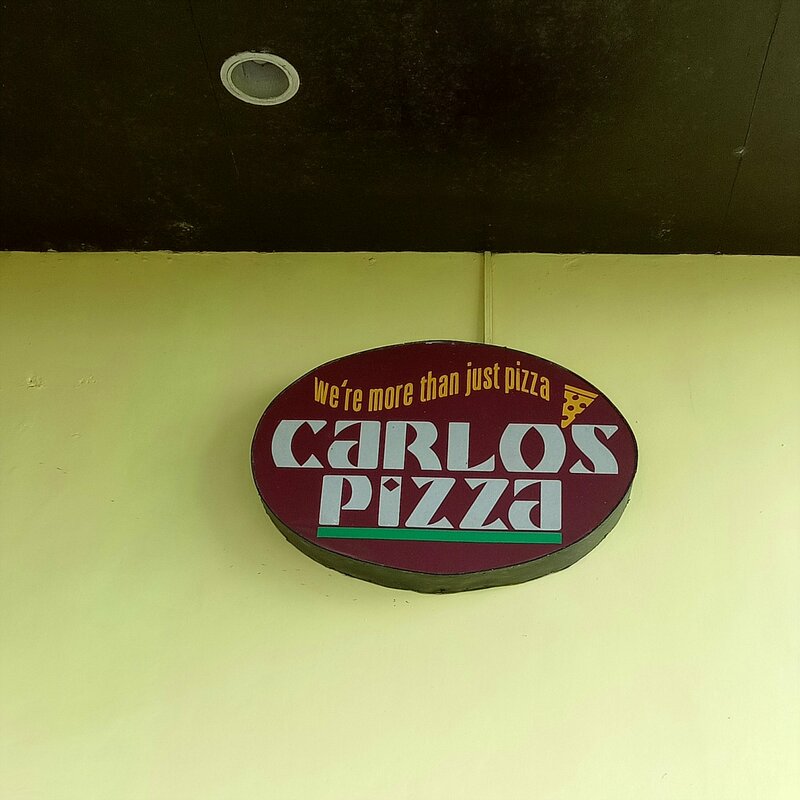 We went to Carlos Pizza instead since it was just right beside BD. We ate outside with Taal just there. Of course, we couldn’t pass up the opportunity to take photos. Before going down, we stopped over on one side of the road to take photos. Sometimes, we see things better when we have a limited perspective of the big picture. Maybe, it’s because darkness doesn’t only have a way of bringing out the shadows, but also, light. The games we play. These are two of my students playing chess in Tampuhan Cafe. Among a crowd of shadows. 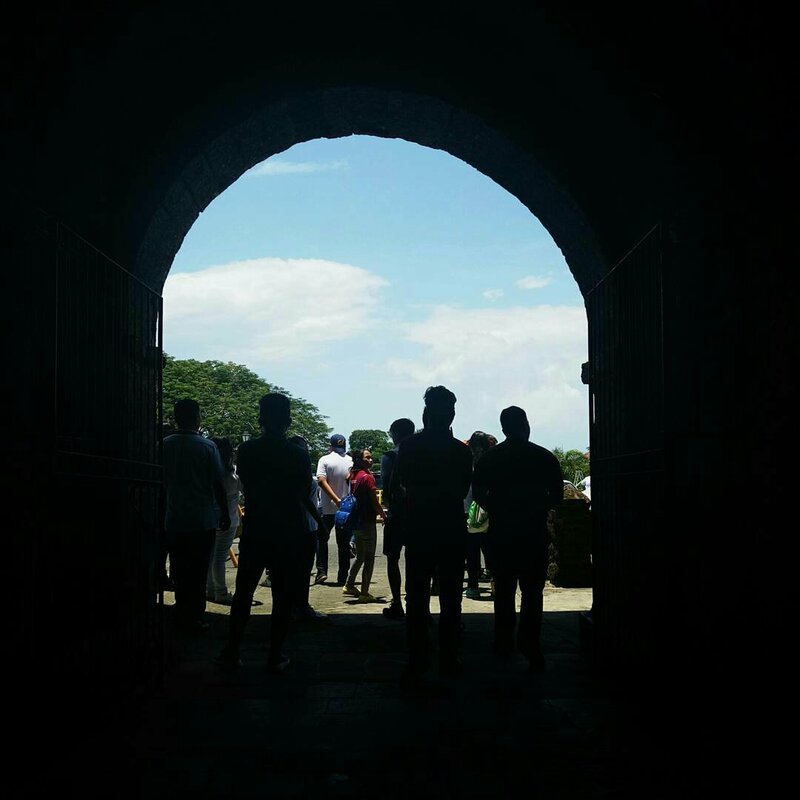 This picture highlights one of my co-teachers, standing outside the Taal Basilica. Secret passage. This one of my students posing at the Marcela Agoncilio museum. 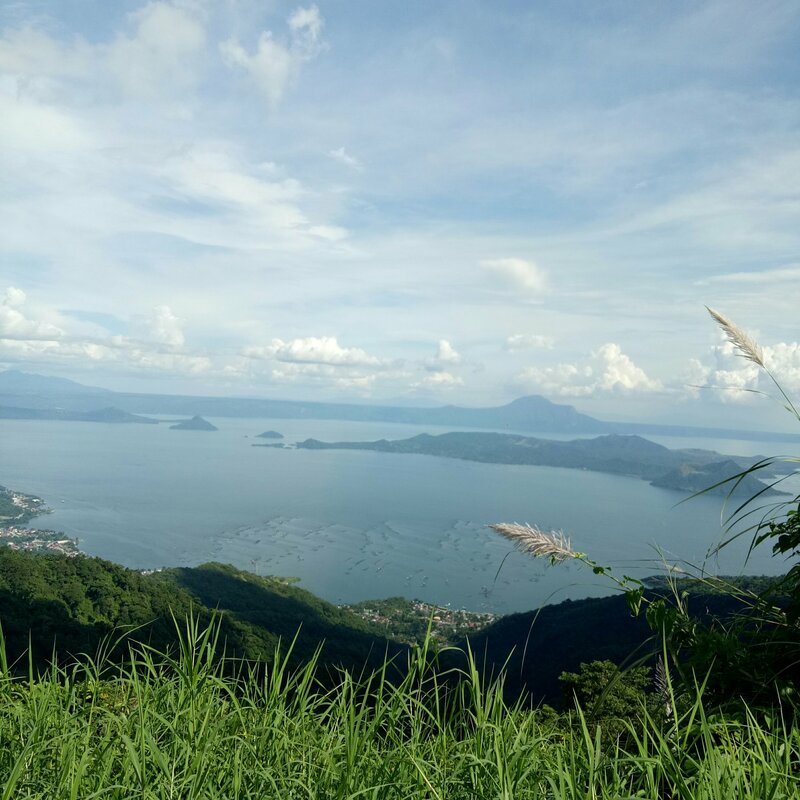 Taal Narnia. 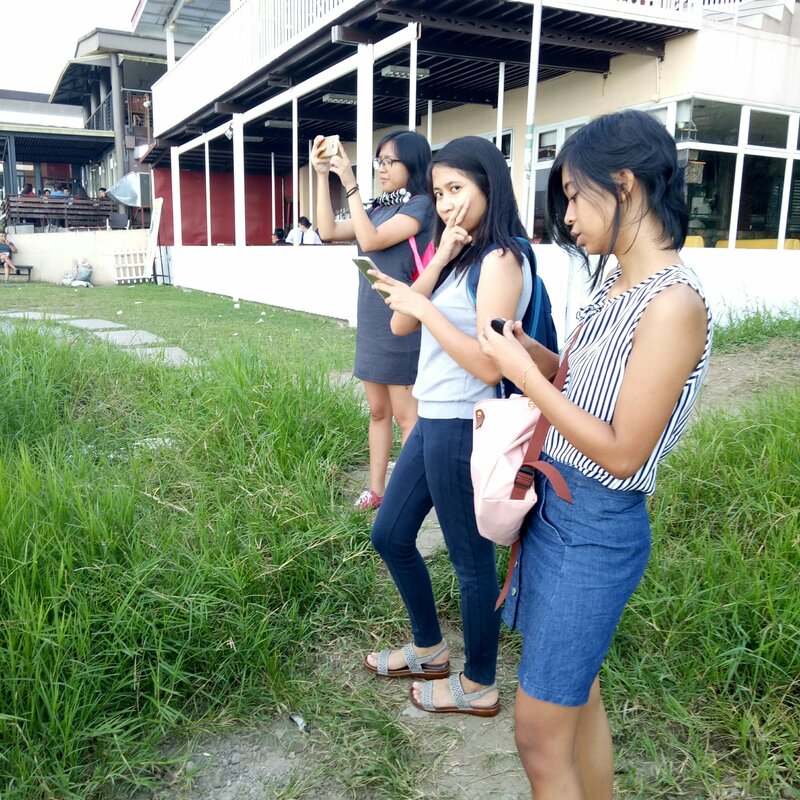 This one of my students, exploring the Taal Basilica.